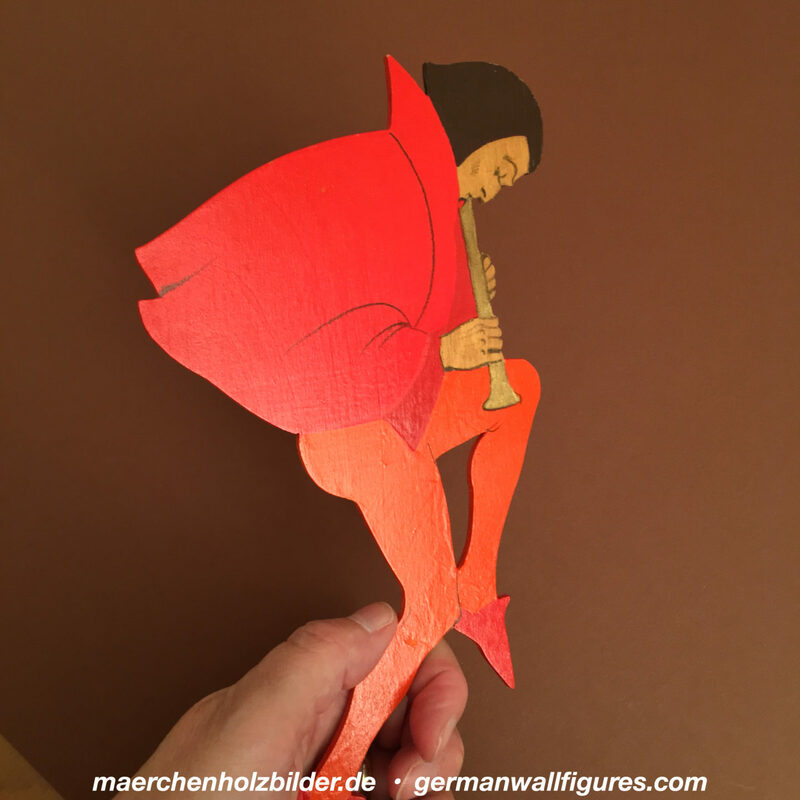 This is a very special wall figure by Hellerkunst: For one thing, it’s his elegance. Balancing on one leg, doing everything else he does. Then again, haptics: If you hold the figure in your hand, you’ll notice the flute painted golden. An old item – that translates to Magda Heller as the artist. She did not paint this one herself anymore (Hellerkunst was a huge producer in the 1930s and had talented staff), but she designed it and after the 1950s, it vanished from the production. So there is the additional knowledge: It is an old fairy tale wood picture. Great high quality haptics get very attractive in our digital era! And this Rat Catcher reminds me of Severus Snape, the secret hero. Hand-painted on wood and rather rare, I’ve known of three items so far.